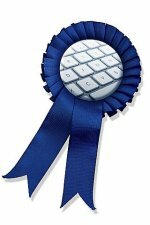 Congratulations to Christopher Mundy, Roger Rousseau, Greg Schenter, and Shawn Kathmann at Pacific Northwest National Laboratory and Alessandro Curioni at IBM Research-Zurich on being selected for a 2009 INCITE award. This competitive award is granted by the Department of Energy. The award provides access to powerful supercomputers to model complex processes and analyze large data sets. The team received a total of 4 million hours on two of DOE's Advanced Scientific Computing Research's supercomputers. The team will have 2 million hours on the IBM Blue Gene/P at Argonne National Laboratory. In addition, they will get 2 million hours on the Cray XTs at Oak Ridge National Laboratory. The 4 million hours is a significant increase from the 1.5 million hours the team received from the 2008 INCITE award and will immensely enhance the team's research, according to Mundy, the team leader and principal investigator of the INCITE research. With the new award, the team will be able to continue running statistical and quantum mechanical calculations to explore the chemical physics of reactions that occur within and at the interface of hydrogen-bonded liquids, like water. The calculations and resulting models will accurately portray reactions under experimentally relevant conditions. This research requires the processing speed and power of supercomputers. Standard desktop systems are simply incapable of running the proposed calculations. This research could provide insights on reactions that occur in water and other hydrogen-bonding fluids. "Understanding the reactions that occur in water have far-reaching implications in many areas of science," said Mundy. Elucidating the solvation of ions in the vicinity of interfaces and in bulk will help us control many processes in chemistry, atmospheric science, and biology. developing transformational tools, techniques, and facilities, including those for advanced modeling and computation, for the biological, chemical, environmental, and physical sciences via DOE's EMSL and other user facilities. developing tools and understanding required to control chemical and physical processes in complex multiphase environments.